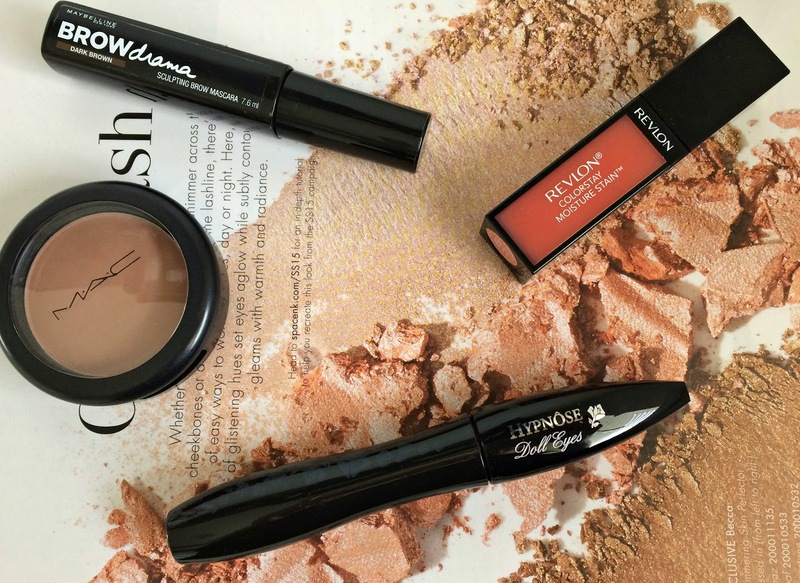 Just Taylor: March 2015 favourites! I know that when I posted my January favourites I said that I would be doing monthly favourites ever month, but thoughout Feburary I wasn't really loving many things. However, this month is different so I'm back with a new post! This month I have four beauty favourites and one fashion favourite, which have all been absolute staples in my everyday look. Firstly in my beauty favourites I have been loving the MAC blush in harmony. This has been the perfect contour colour for me recently and I've been wearing it almost everyday, paired with my soft and gentle highlighter. It has quite a red undertone to it though so if you don't get on well witht those kind of bronzers, I wouldn't give this one a go. The next product that I have been loving is the Maybelline Brow Drama in the colour Dark Brown. This is a very affordable, very good tinted brow gel that comes in a range of tones to suit different hair colours. This is perfect to throw on top of my brows after I have filled them in to add a little more darkness and definition to my brows and keeps them in place. I have also been loving the Revlon colourstay moisture stain in the colour 'London Posh'. This has been perfect for those days where I don't want to go all out with a bright lipstick but I still want a little something there. I find appliyng two coats of this builds up a beautiful coral orange colour with golden flecks running through it, and I know it will be a perfect colour for Spring and Summer. The last beauty product that I have been loving is my Lancome Hypnose mascara in the doll eyes edition. This adds the perfect mix of volume and length to my lashes and doesn't flake off during the day, and really separates my lashes. 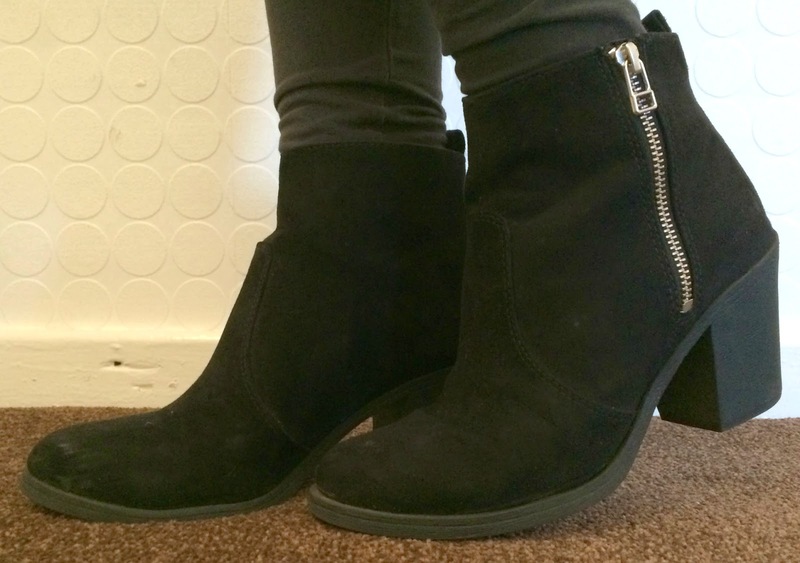 My fashion favourite of the month has GOT to be my black boots from H&M. They have a small heel which gives me a boost of height that my 5ft 3 frame definitely needs, and have a silver zip down the outside. They're super comfy to walk in and I don't find myself wearing these and then halfway through the day having to change my shoes because my feet ache so much. They were very reasonably priced too, so if you can still get a hold of them I would definitely recommend them!